I've been using the IOS StackExchange app for a couple of years now, without a problem. 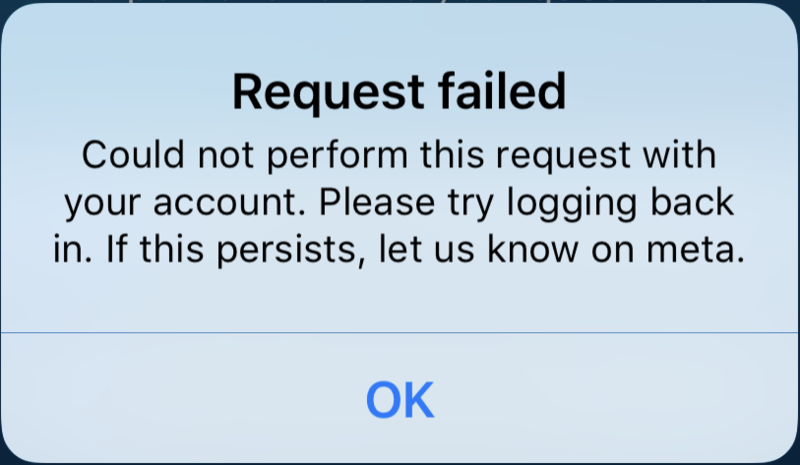 Today I got a new iPhone Xs, downloaded the app, and tried to log in using Google, the way I always do. Each time I tried, I got the error message shown below, so I'm doing what it says. All of my other Google logins on the same phone have worked fine, and my StackExchange/Google login works fine on my desktop. Is there some strange interaction among StackExchange, IOS, and Google that I'm not understanding? Browse other questions tagged support login ios-app .